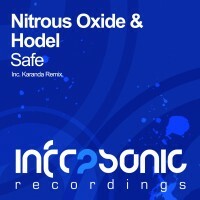 Nitrous Oxide & Hodel – “Safe” OUT NOW! December 10, 2012 by Hodel, under News. Support from Armin van Buuren, Gareth Emery, Paul van Dyk, Aly & Fila, Bobina, Sean Tyas, Daniel Kandi, DJ Feel and more..
Get it now exclusively @ Beatport! Leon Bolier – “War Of The Worlds” (Hodel Remix) OUT NOW! September 5, 2011 by Hodel, under News. Has been a while now since I updated you. I hope you’re doing well! 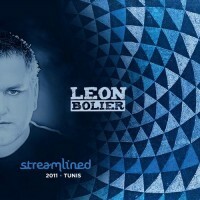 Wanted to let you know that my remix of Leon Bolier’s “War of the Worlds” finally got released today on his Streamlined 2011 – Tunis compilation! Leon has always been an artist Ive been looking up to ever since I heard his productions for the first time like 8 years ago. So, its an honor to have gotten the chance to remix him. I hope you’ll like my interpretation of the original track! 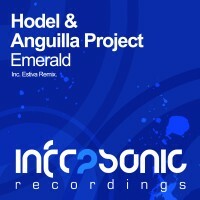 Support from Armin van Buuren, Paul Oakenfold, Sean Tyas, Solarstone, Leon Bolier, Richard Durand, Bobina, DJ Feel and more..
Hodel & Anguilla Project – “Emerald” OUT NOW! March 1, 2011 by Hodel, under News. “Release number 56 on Infrasonic comes courtesy of Hodel and Anguilla project. Both major players in the trance scene in their own right, the talented duo join forces to great effect with a vintage trancer that really takes you back. Support from Armin Van Buuren (ASOT #496), Above & Beyond (TATW #359), Markus Schulz (2x GDJB), Aly & Fila (FSOE #172), Bobina (2x RGC), Manuel Le Saux (Extrema #211 Winner) and more..